As part of the #AMakeADay hashtag on Instagram, the “RaverRings” as they’ve been informally named became a big hit at Sunnyside High School in Fresno, CA. Being shown as an example output product of the Rapid Innovation Cycle, the students began “freaking out’ over the cool factor brought out by the 3D Printed rings. Founder and CEO Chris McCoy stated, “while 3D printing isn’t great for large scale manufacturing, for low volumes and especially with the custom nature of ring sizes, a handful of 3D printers could produce all the rings necessary for the student body” which is approximately 3500. The RaverRing that was demo’ed on January 28th during the first introduction to the Rapid Innovation Cycle was sold to the opportunistic Lovely–a student in Ms. Katie McQuone’s TV Video Production class. “Who here would buy this [RaverRing] for $10?” Chris asked the group. Lovely shot up her hand and said, “I will! !” and on the spot handed over $4 of the $10 (she has promised to pay the remainder upon return). “This is $4 worth of data…” Chris explained to the class “and this is why having a prototype product or service is so important to accurately gauge market interest.” This was the message being instilled into the class that day–that by building prototypes and using them as market experiments, students could reliably kickstart their own entrepreneurial ventures. The goal of both You3Dit and Hands-on Rapid Innovation in the context of Sunnyside High School is to provide students the modern tools used by the top Tech firms in Silicon Valley–that of data-driven decision making, customer development and rapid iteration. Additive manufacturing in the form of 3D Printing plays a large role in hardware prototyping because one-off instances of product designs can be made much much cheaper than ramping up a production line or buying professionally machined parts. 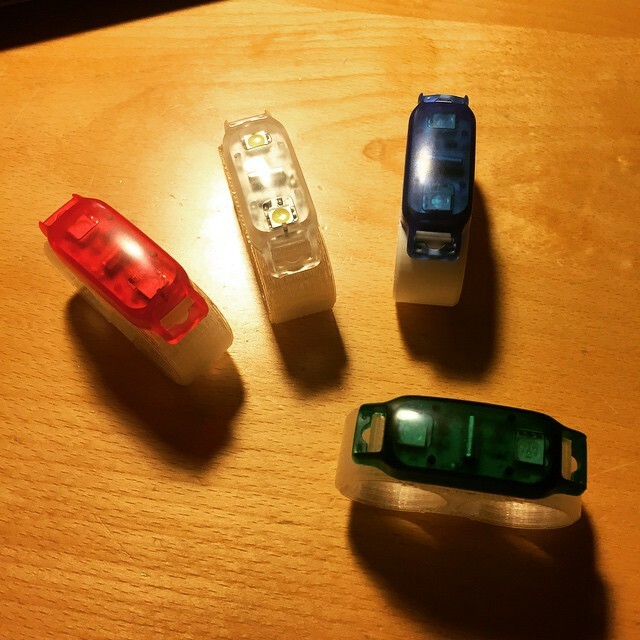 The RaverRing utilizes a double finger ring that is 3D printed and one Radio Shack LED Flashing Step product. Chris saw them on sale initially and figured there “had to be something cool we could do with them” and for $3.00 for 2x, this was too good of a deal to pass up. Everyone is aware that there is work and effort to be invested, but there’s no doubt that this experience will light up the creative minds at Sunnyside High School.